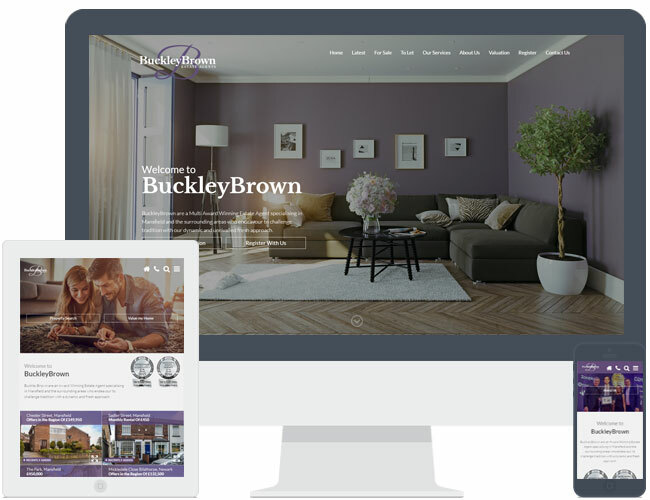 Buckley Brown upgraded their existing responsive Expert Agent website to theme R6. They chose to use an image slider instead of a video on the homepage and their choice of photos work really well with the colour of their branding. This example includes chargeable extras such as additional pages, text slider on the homepage banner.